'I'm done with him' - Loads of Arsenal fans fumed at 'worst player on the field' in Saints loss | The Transfer Tavern | Where football transfer rumours fly or die! Alex Iwobi is not a popular figure with Arsenal fans at the moment. The tricky Nigerian winger has all the talent to be a star at The Emirates, and when he’s on song, he’s a tough player to stop. However, it seems he’s very rarely at those levels, and after their loss yesterday, loads of Arsenal fans fumed at the 22-year-old. 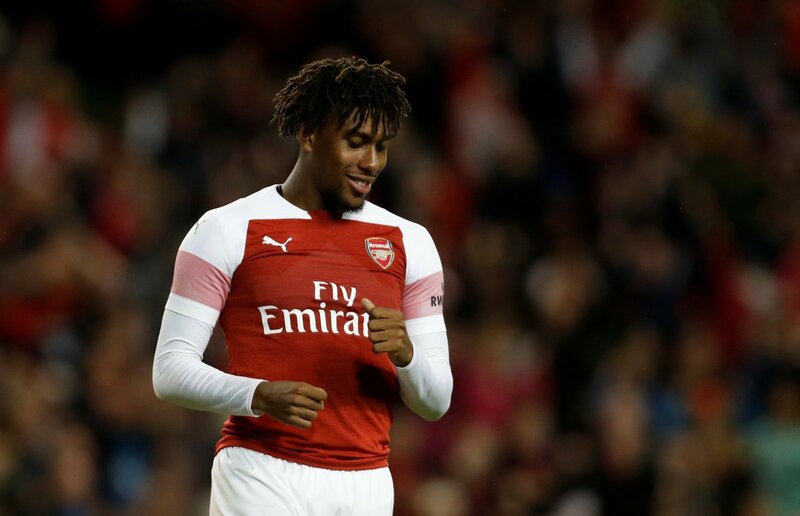 Whilst Unai Emery may have taken a liking to Iwobi, and wants to utilise him from the start in matches, at some point, it will have to give. For a starting Premier League wide-man, having an end product return of just one goal and three assists in 14 appearances simply isn’t good enough, especially seeing as ten of those 14 games have come in the starting eleven. The last time Iwobi provided a goal or an assist in the Premier League was during the Gunners’ 1-1 draw with Liverpool, and he’s since gone over 350 minutes without providing any kind of end product in an Arsenal shirt in the league. It’s understandable that the fans are starting to come for him, and a spell on the sidelines could do him the world of good as the winger aims to find the top form that Emery obviously sees him finding sooner or later. Starting Iwobi with the likes of Ozil, Ramsey and Lacazette on the bench!!!?? How many chances is Iwobi going to get?!! The fans were fuming when Iwobi was named in the starting eleven and they were fuming with him throughout the game, so it would probably be best for him to have a spell on the sidelines.